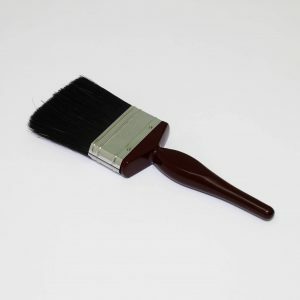 A traditional oil glaze with an extended drying time for decorative paint work. Dries to a translucent gloss finish on a wide range of surfaces. Supplied pre-coloured with Polyvine Woodgrain Oil Colourant. 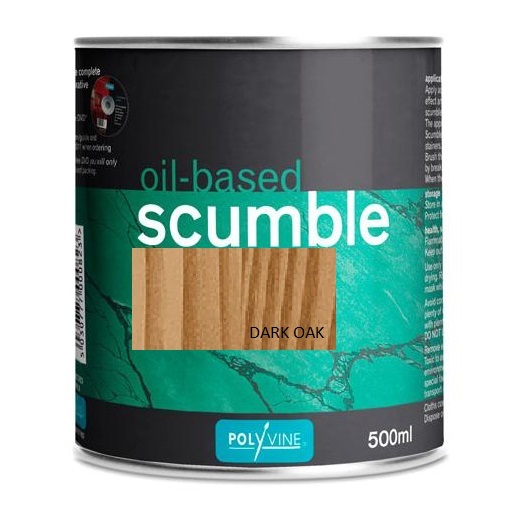 After brushing the pre-coloured Scumble over the base coat the desired decorative effect is created by breaking the surface with a crumpled rag, bag, sponge or a Polyvine tool or brush. When the glaze is completely dry it can be sealed with a coat of Polyvine Extra Pale Varnish. 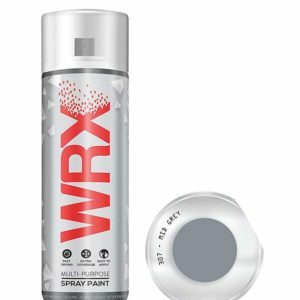 Apply acrylic eggshell or alkyd undercoat in a colour suitable to create the desired effect and allow to dry for a minimum of 24 hours. It is recommended that the scumble is thinned with white spirit to ensure it’s applied in a relatively thin film. The appropriate viscosity will depend on the technique to be used. Stir thoroughly. Brush the coloured Scumble over the base coat. 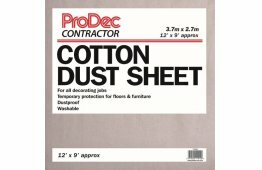 Create the desired decorative effect by breaking the surface with a crumpled rag, bag, sponge or a Polyvine tool or brush. When the glaze is completely dry, seal with a coat of Polyvine Extra Pale Varnish. Flammable, keep away from sources of ignition – No Smoking. Use only in well ventilated areas. Ensure maximum ventilation during application and drying. Restrict interior use to large interior spaces or in confined spaces, wear a face mask which is designed to prevent inhalation of solvent vapours. Avoid contact with skin and eyes. In case of contact with eyes, rinse immediately with plenty of water and seek medical advice. After contact with skin, wash immediately with plenty of soap and water or a proprietary skin cleanser – DO NOT USE SOLVENT, THINNERS OR WHITE SPIRIT. Remove excess from tools and mixing vessels before cleaning with white spirits. Toxic to aquatic organisms and may cause long-term adverse effects in the aquatic environment. Do not empty into drains or watercourses. Some local authorities have special facilities for disposing of waste coatings. To avoid risk of spilling, always transport and store in a secure upright position. warning. Dispose of safely. Lay out flat in single layers to dry out or wash in soapy water.